Mrs. Danna Schmitt’s Life Skills class from Dryden High School entered the I Love Dryden contest that was sponsored by the Dryden Public Library. 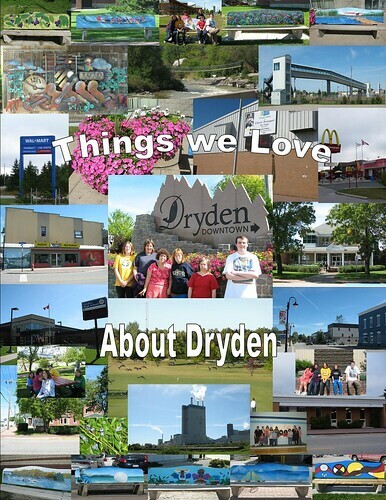 The students decided what pictures of Dryden to take and walked around the city in September taking the pictures. They then put a poster together with additional help from the EA’s in their class, Chris Mallyon, Sandy Armstrong and Sherri Chagnon. The students in the center of the pic are, from left to right Marissa Himes, Katrina Oliphant, Shannon Sicilano, Sara Nuttall, Sarah Ivanowich, and Chad Collen. Missing from the photo are Nicole Pacheco and Cynthia Anderson.